Stations of the cross art created by Jenny Gallo of Carrot Top Studio for the Kirk in the Hills Stations of the Cross art exhibit. The focus of the 2019 Holy Week exhibit was seeing the scripture through the lens of criminal Jesus. 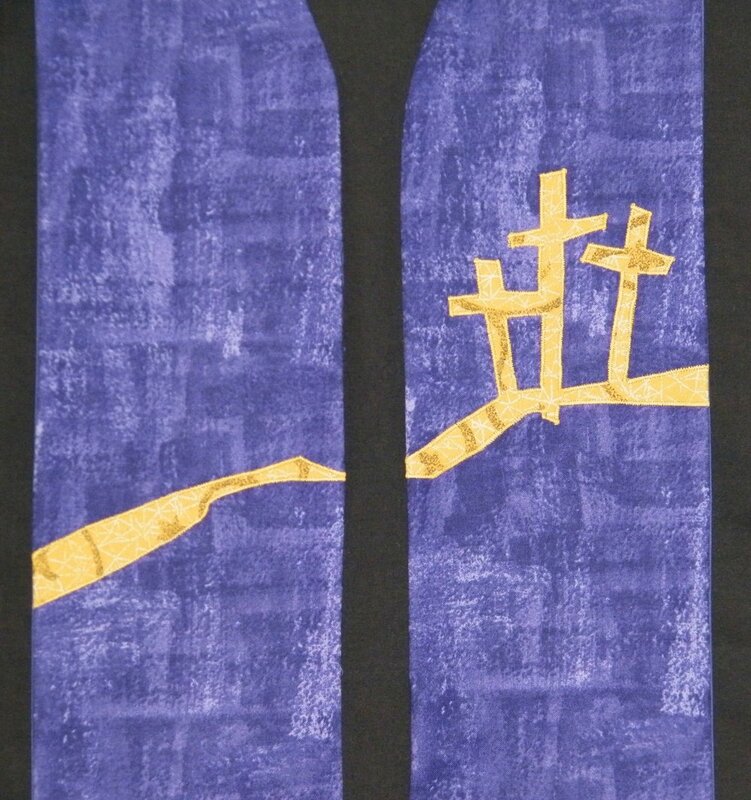 Clergy and Wedding Officiants: A new stole design! Do you have an idea for a stole but can’t find in any store or eCommerce site? Tell us about it! It could be that we could take it on as a one of a kind commission. But we often find what one client needs that is reason to offer it to others also. 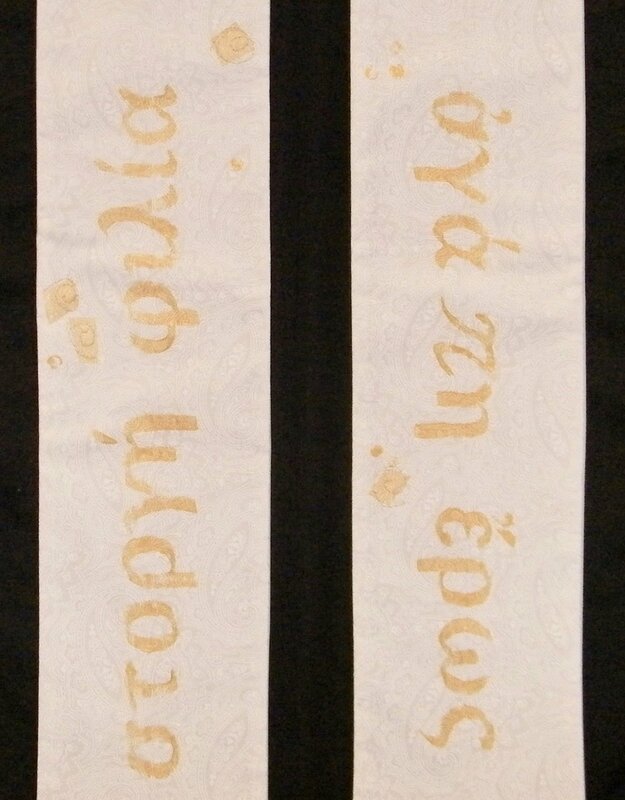 Such was the case when I client asked if we could create a wedding stole for her pastor husband who often preached about the four loves from the Greek translation of the word. This was a great idea! I mean …. geez that sermon message makes so much sense it was even in my wedding service way back in 1986! Libraries and books have always been special to me. I’m sure it goes back to my parents many hours reading to me when I was very young. They were both readers and valued the knowledge and escape that books could provide. AS I got older the weekly trips to our local library were always a highlight especially when the summer reading program had us going in a full speed ahead in a reading frenzy. So, I’m still a reader today and also have grown to love research. I investigate not just on the internet but from the old way of using books! When we set up our new home in Detroit five years ago we gathered the books that had been in different corners of our former home and created a room that we call “the library.” It’s full of cook books, travel tomes, children’s books, and inspirational business books. Last but not least are the faith based and art books that I turn to time and time again. Through the quiet and calm of this space my mind and creativity are mentally stimulated. The books not only enrich my life but also help inform what I create at Carrot Top Studio. And So Forth... because one thing led to another! We've been watching the trends of mindful (hand) stitching and decorative mending evolve in the world of those that sew. 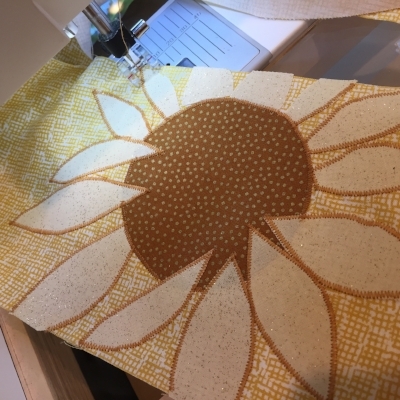 It's happening on quilts, clothing and accessories. We saw a great example of this while in Madison, WI this summer. Here is a detail from the exhibit by artist Heidi Parkes at Blue Bar Quilts. Then a client sent us her grandfather's flannel shirt with the proposition of honoring this special someone in her life by incorporating the shirt fabric into a stole. 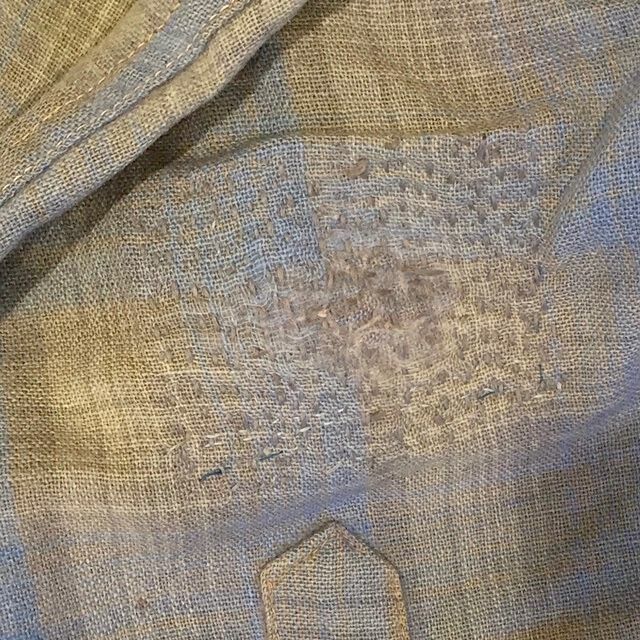 Upon thinking about the commission and examining the shirt we discovered some visible hand stitching that had been used to mend the well worn shirt. Now we're incorporating this touch of the client's grandmother's hands into the stole also. What an honor it is to take on this commission! And that led us to our latest addition to our Christmas stole collection. We think this prototype is a start of additional hand stitching on our stoles. The more we conjured the design of this stole we grew attached to the thought of God mending us and the world through Jesus. See how the pictured details of the stole were incorporated into the entire design here. This Advent stole has an accent fabric that has a visually rough texture (not rough to the touch). This is a reminder of the rough world that Jesus arrived into. He came to save. That roughness carries on today doesn't it? It's subdued but do you see the heart cross in the delicate white and gold border fabric? That was our jumping off point to use symbols to tell of God's love as spoken of in John 3:16. Read more about this Christmas stole here. to accentuate the palms in the stole fabric. This one of a kind stole is embellished with flowers to represent new life and rebirth. Additionally the base fabric is a subtle batik of pink roses. How fitting is that when you think of the rose as a symbol for Mary, the mother of Jesus ... the vessel that allowed the story to start. The appliquéd leaves on this stole represent growth in a marriage. Like the examples above, the symbols mimic what is seen in the background fabric. Read more about this "growing together"
Late this summer I planned a retreat at the beach in North Carolina. The goal was to read, be silent, seek God's presence in the quiet and work in my sketchbooks. I knew that this would be during hurricane season. But I really didn't think a hurricane would impact the trip! And then Hurricane Florence roared into the coast. I moved to plan B and landed in the sailing capital of North Carolina — Oriental. 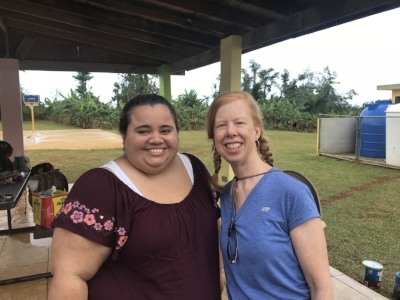 Despite seeing the hurricane destruction in Puerto Rico last year (blog post here) it was eye opening to be in North Carolina so shortly after the destruction had occurred. But as I learned from the gentleman from FEMA that I sat next to on the airplane each hurricane is different . I had not been in Oriental before but quickly learned that many people in this area are professional fishermen. 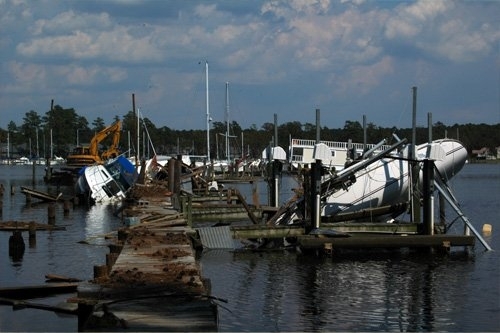 The site of boats on top of piers and swept onto the land was quite unsettling. 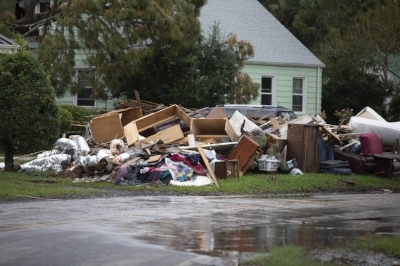 This is in addition to the many homes that we saw that looked like they belonged in a war zone with their entire contents on the street for trash pick up was unsettling to say the least. The marinas inspired a new limited edition of stoles. See the creamy white Baptism version here and the Ordinary Time version here. Below is a glimpse of the work in progress. The boats were added next! We will gladly be sending $50 to the American Red Cross for hurricane disaster assistance for each stole in this limited edition that is purchased. Each morning I sat by the Neuse river and read Invitation to Retreat by Ruth Haley Barton. I'd recommend this in preparation for a retreat (in a large group or as an individual) and for the suggested tasks while on a retreat. Despite not having my toes in the sand this time was restorative and thought provoking. Driving in this beautiful state also allowed me to admire fields of cotton. I stopped and uttered thanksgivings for the farmers and harvesters that take this amazing plant and get it to those that create the fabrics we use in our products! It was a week of experiencing many blessings. And the resulting stole! See the Baptism stole here and the Ordinary Time stole here. It’s always extra special to create for someone I know personally and recently that was the case. 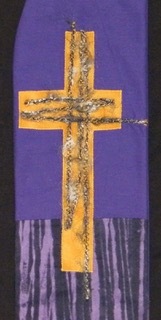 My own faith community was kind enough to request a stole for the Installation of one of our pastors. The final product wasn’t revealed until Installation worship but this pastor and I worked together to create the design. The following is an example of what the commission process is like at Carrot Top Studio. That was an interesting list that proved to be a test of our abilities to connect visuals with. That happens sometimes, but we also love a challenge! 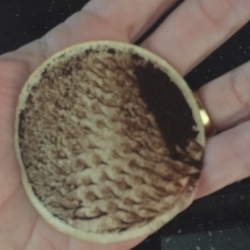 Our first sketch included a sun to represent the New Testament symbol of the believer’s walk and a reminder of the pastor’s roots in Puerto Rico where the sun (usually) shines. 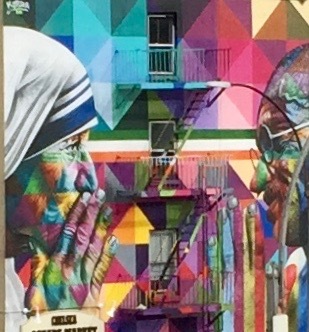 A descending dove was included for the Holy Spirit with surrounding swirls to represent joy and laughter. An oak tree/cross growing out of an acorn was chosen to recall the fact that great results can be born of humble beginnings and also to speak of the abundance mentioned in John 10:10. 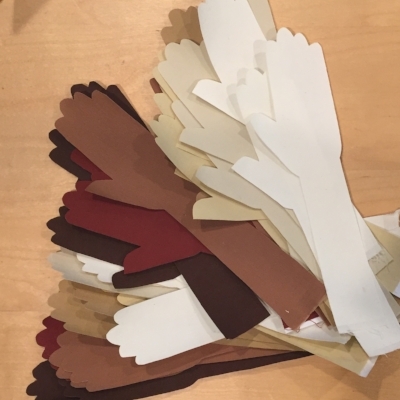 The story behind a unique Advent stole by Carrot Top Studio. 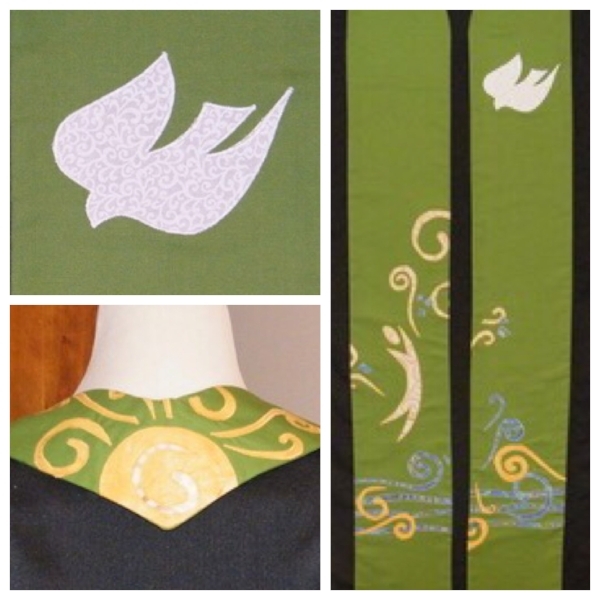 For the fourth time Carrot Top Studio has been asked to create the moderator stole for the PCUSA General Assembly. 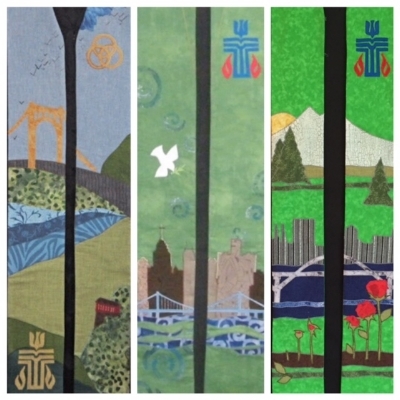 The stole traditionally depicts the host city for the General Assembly, the seal of the denomination and a visual connection to the General Assembly theme. It's always a fun creative challenge for us! The Office of the General Assembly presents each new moderator with a stole to mark their moderatorial office which is kept by the moderator as a witness of their ministry after the term is completed. The prominent features in this year's design are a fleur-de-lis which calls attention to the French background of the early city of St. Louis. Additionally, the water lines are a symbol for growth. The convergence of the Missouri and Mississippi Rivers allowed for growth of our nation. Lastly, the representational people surrounding the cross reminds us of the Church working together called to be a witness. I tend to make personal goals when the seasons change not on New Year's Eve. As the cool weather of fall blew in I felt called to start drawing and painting more often. This is what I did in high school and college and as much as I love, love, love working with fabric and sewing the pencil and paintbrush are clearly also part of who I am. I'm also the kind of person that needs systems to help hold me accountable. Is that why I like the rhythm and routine of the Church year calendar so much? Anyway, I signed up for an online illustration class through Sketchbook Skool (that's correctly spelled :)). It was project orientated so we worked on designing a piece for the studio. Maybe you'll see the results in your mailbox someday. Until then here's a little bit of the process I walked through. Now that I'm in the habit of drawing again I'm joining the #100DayProject. This endeavor has an official online community but is a free, global art project that anyone can participate in. If you want to follow along my tag is #100DaysOfPaintedPages. Using #CarrotTopStudioArt will do it also! I know it usually takes 21 days to make a habit. I'm wondering how i'll do with a 100 day habit? I am going to rest on Sunday's so it will actually be a bit longer than 100 days. I thought coffee was a good start and below is my painting for day #1. I'll let you know how it all ends. Follow us on Instagram and Twitter. Until then, see you later! 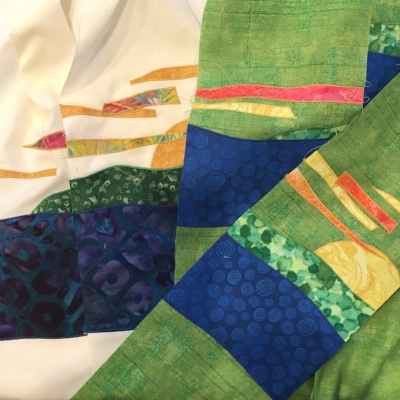 A new eco-friendly clergy stole for Ordinary Time! We've been following the work of Thread International for years. Partly because they work in Haiti and partly because we are always on the look out for fabrics that are created in a sustainable manor ... it's our little way of honoring creation. As an experiment we ordered some of Thread's blue denim that is made from recycled bottles in Haiti by Haitians. 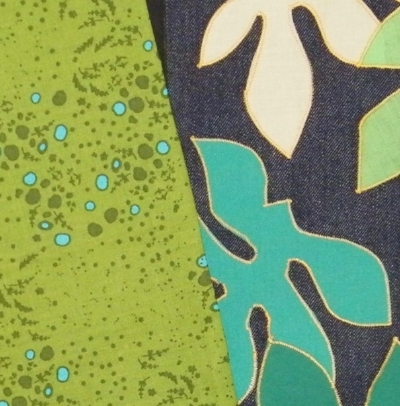 This isn't our normal base fabric type or color but our creative spirit seemed up to the challenge. 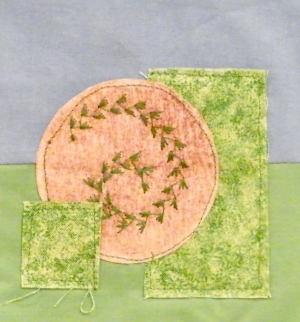 First we "auditioned" green fabrics that would become the appliquéd symbols for this Ordinary Time stole. Deciding to edge all of the leaves with the same gold thread helped visually connect the images and tied them into the gold cross on the stole's chest. Finally adding a vibrant green backing capped off this unique stole and made it ready to make a visual connection to the Word in worship. We were thinking of 1 Corinthians 3:6 when creating this piece. The scripture and the symbols are good reminders of how we are to grow. "I planted the seed, Apollos watered it, but God has been making it grow."